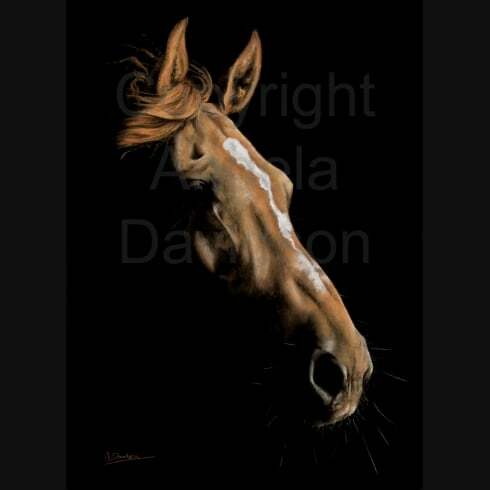 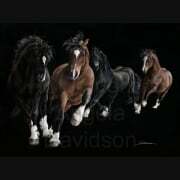 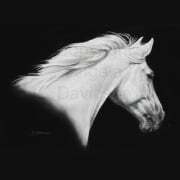 This stunning print of Black Chestnut began life as commission. 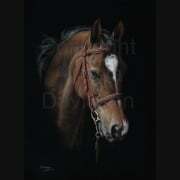 The original artwork was commissioned as a conventional portrait for 21st birthday. 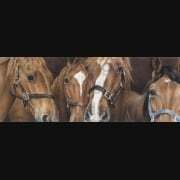 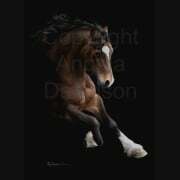 However, Angie thought a twenty-one-year-old might like her horse's portrait created in a slightly more dramatic style. 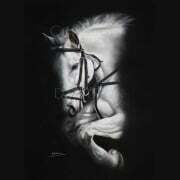 The result was so successful, and with the blessing of the customer, we turned it into this print.